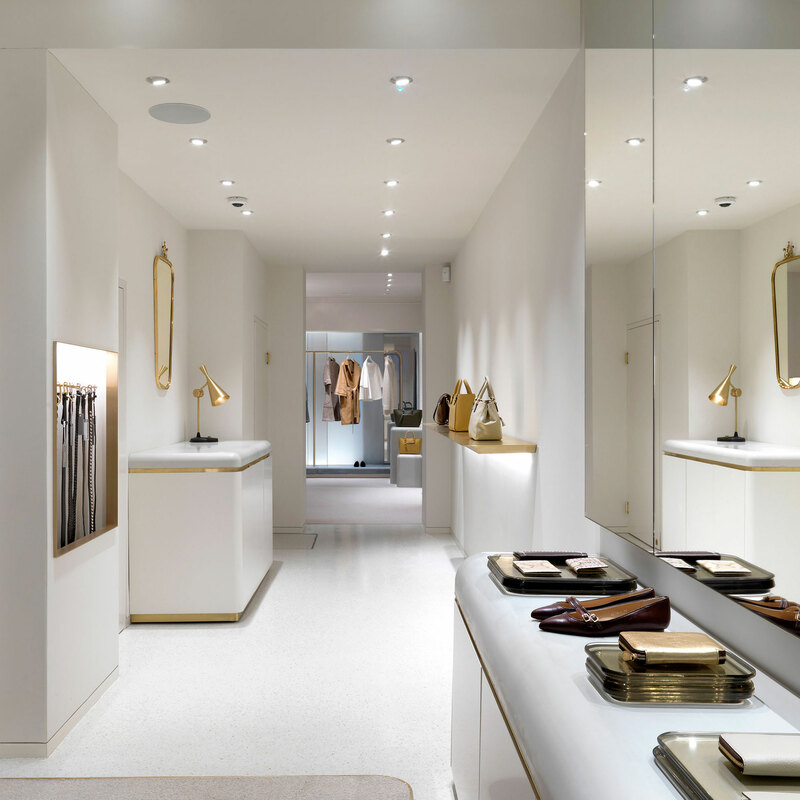 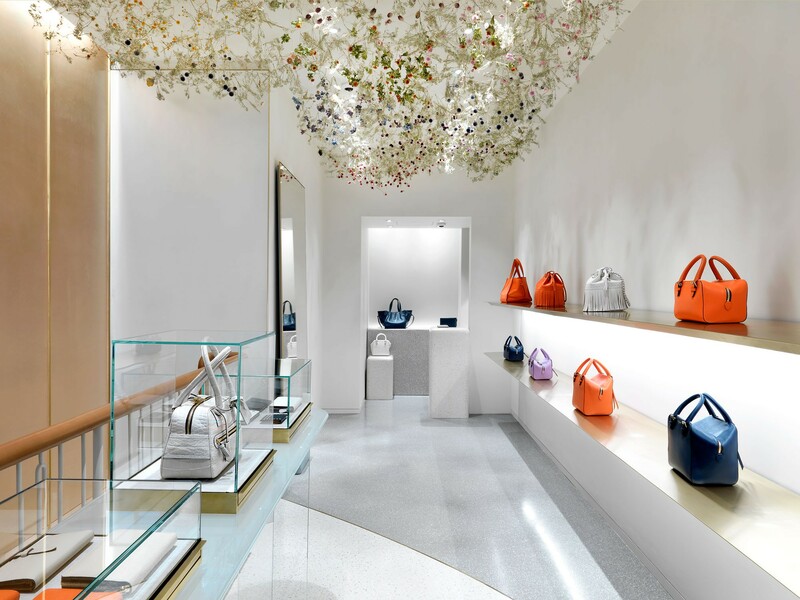 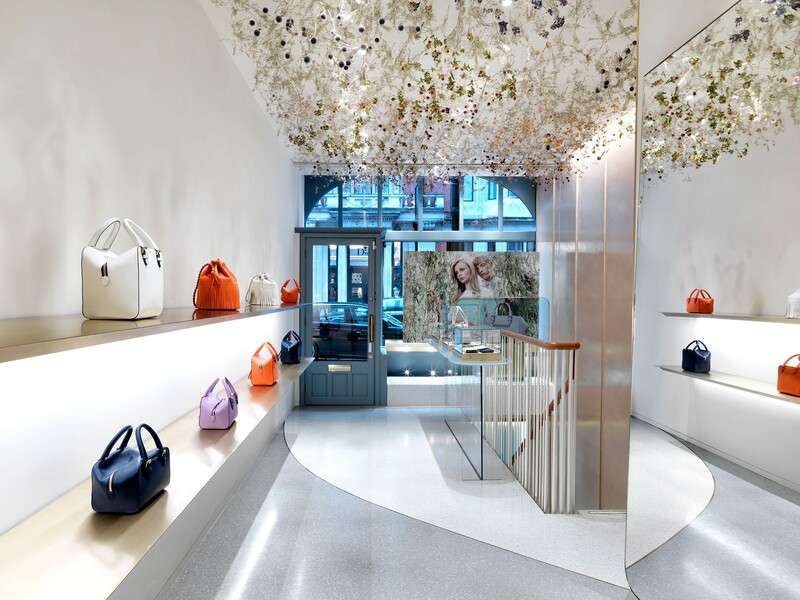 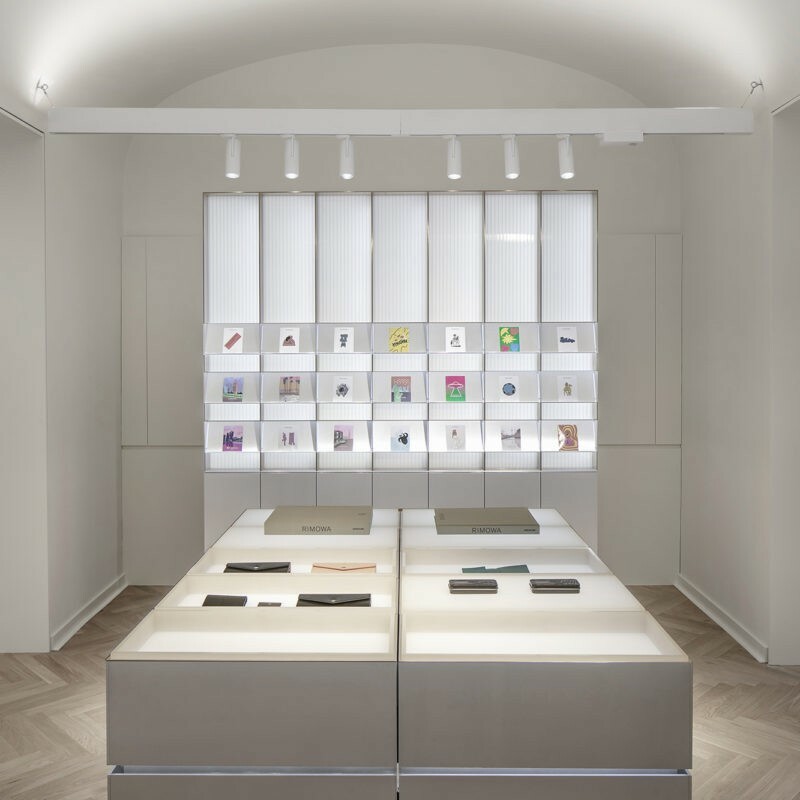 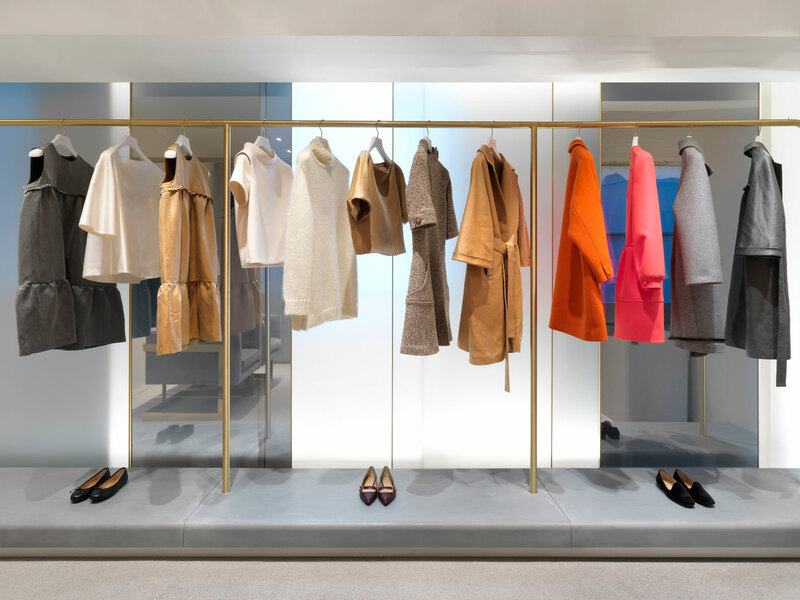 The British luxury leather goods and ready-to-wear label J&M Davidson commissioned Universal Design Studio to design their boutique located on Mount Street, Mayfair. 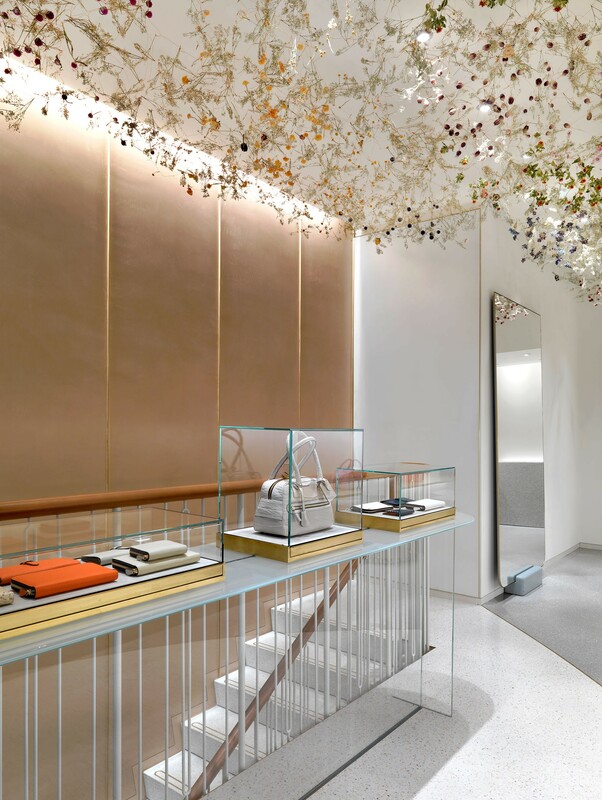 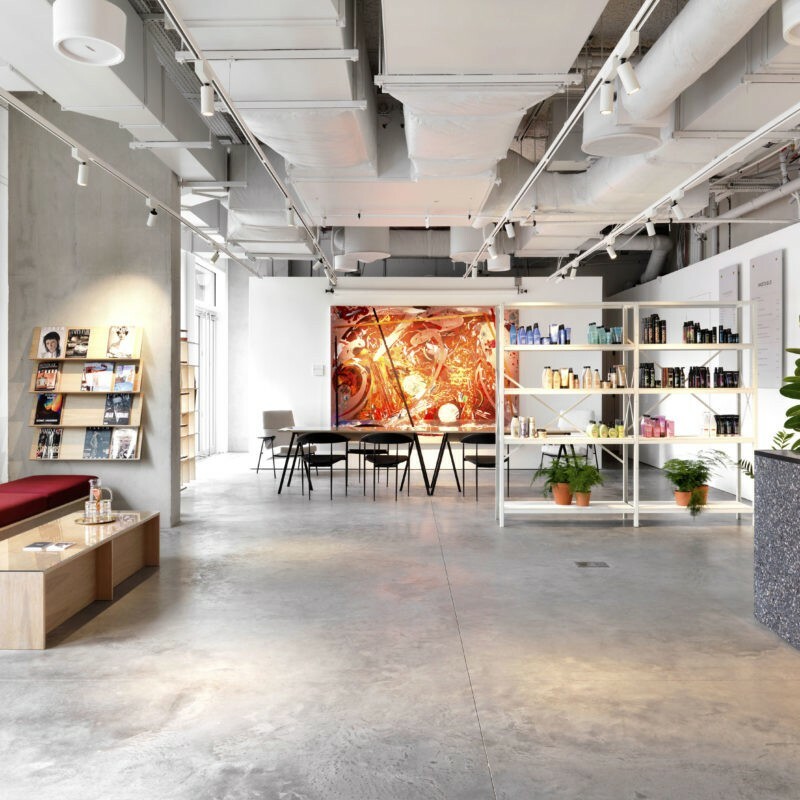 The project unites the brands key values with its location creating a sense of romance and discovery through a commitment to quality and craftsmanship. 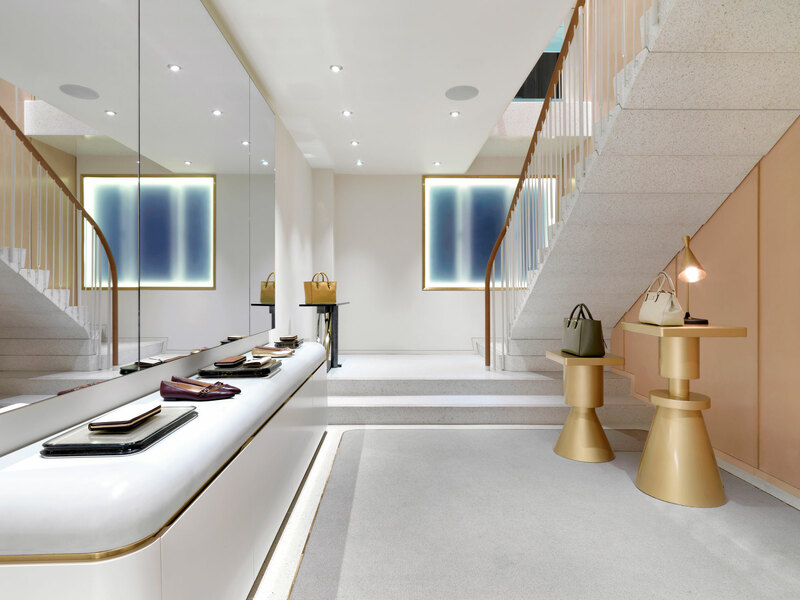 ‘Modern luxury’ was a key theme in the client’s brief which led to the creation of a fresh and contemporary look for the store whilst using the timeless and understated design language characteristic for the brand. 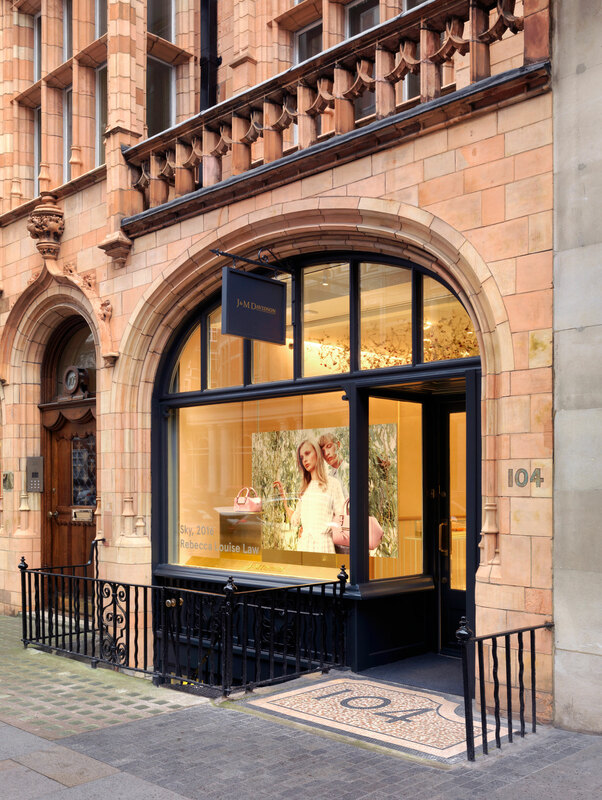 The location on Mount Street in Mayfair was a key inspiration for Universal. 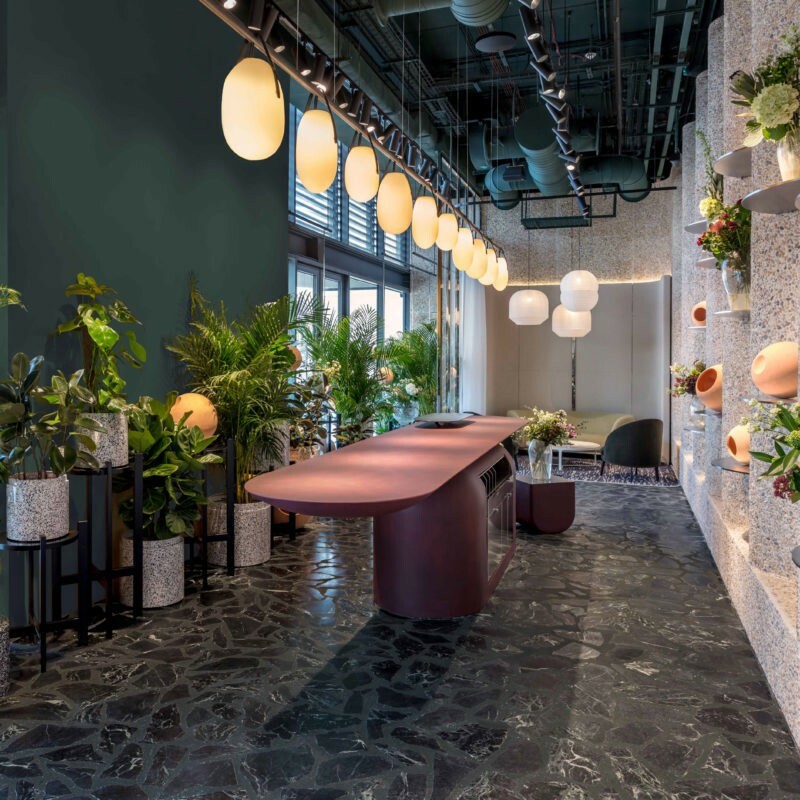 The material palette references the terracotta tones of the building façade and the soft curves of bespoke furniture echo the exterior detailing. 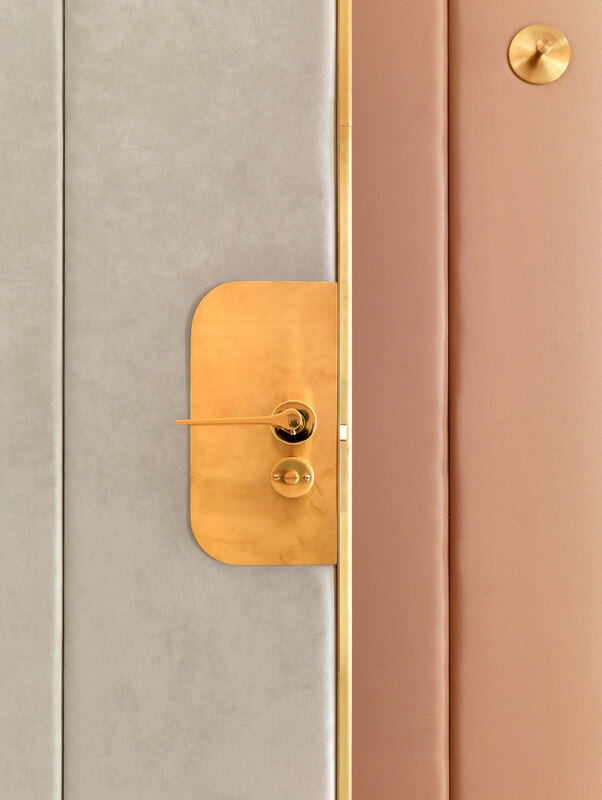 The brand’s commitment to craftsmanship, quality and attention to detail is explored through the creation of bespoke crafted elements and a material palette that juxtaposes traditional materials such as brass and leather with cast concrete and glass. 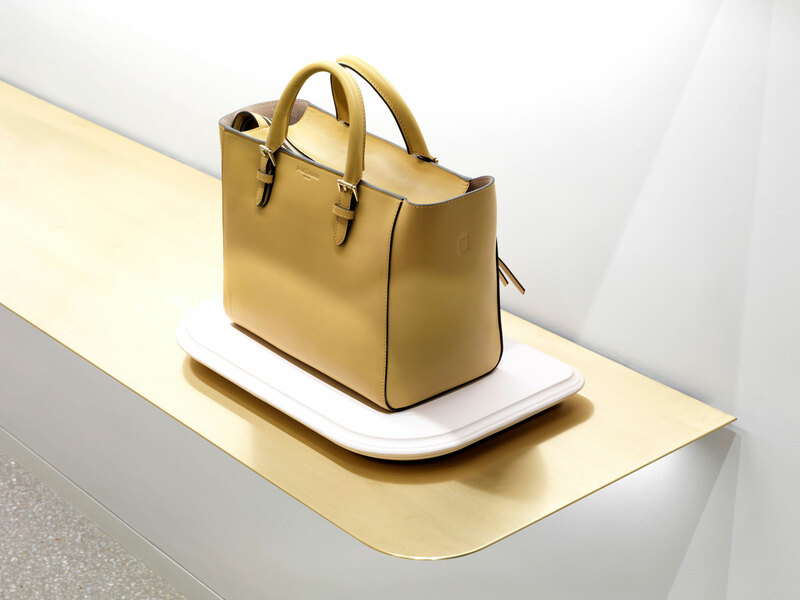 The tactility of the chosen natural finishes reflects the brand’s interest in crafted quality materials. 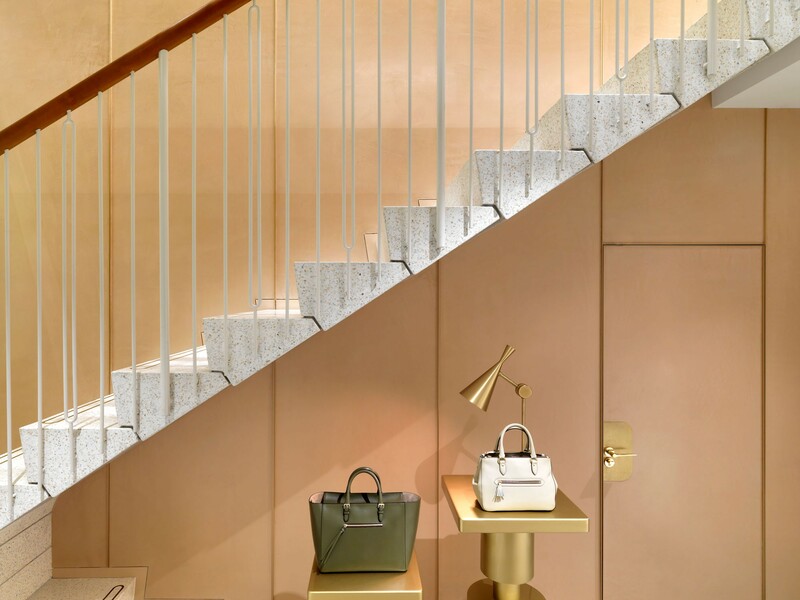 A Sculptural cantilevered staircase with treads cast in solid terrazzo and a leather-wrapped handrail sit alongside hand-made display plinths in terracotta and cast glass. 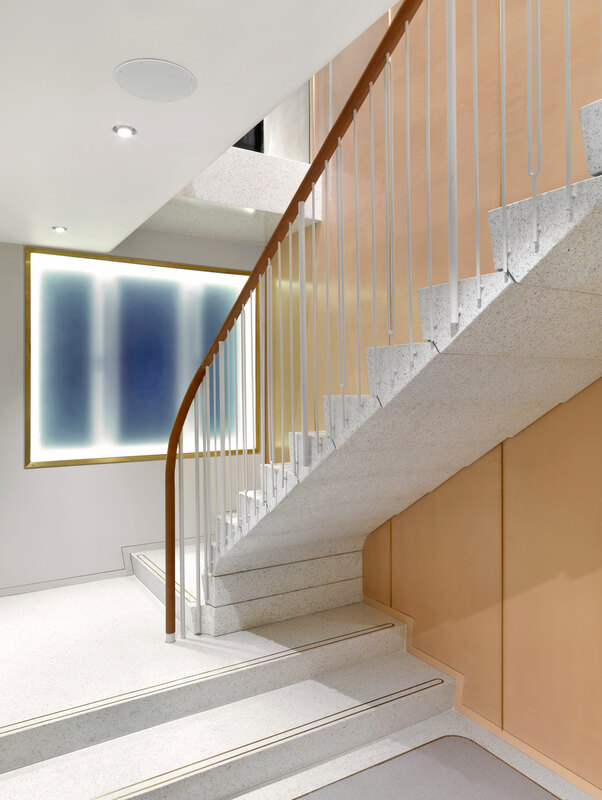 Soft and sculptural forms of the plinths reference the detailing of the building exterior. 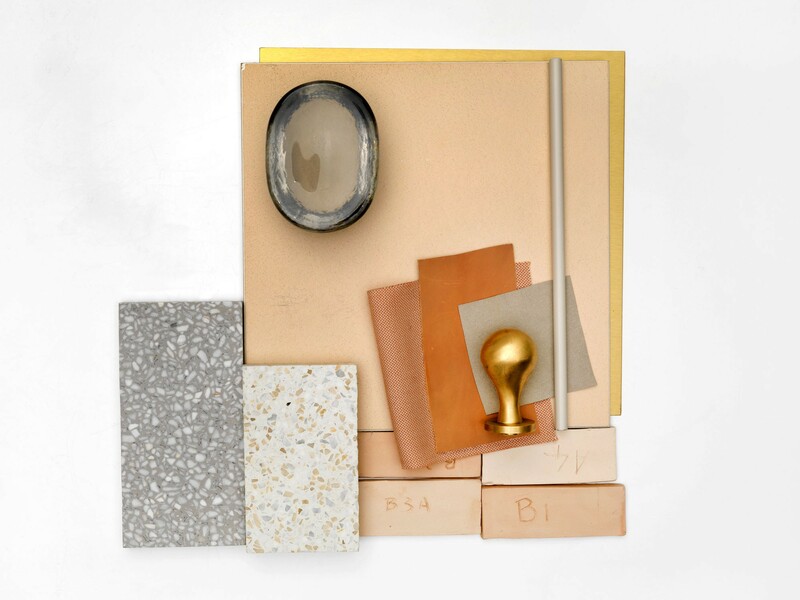 A light and soft material palette creates a delicate backdrop for the product.